Let us all have a moment of silence for TrumpCare. Now insurance companies will have to continue to cover emergency room visits, mental healthcare, maternity care, and pre-existing conditions. Oh, poor billionaire corporations! How will we ever survive as a country??? Every year about this time, we get the "ha, you thought winter was over" snowfall. Every year, it takes everyone by surprise. You'd think we'd learn to expect it, but we never do. Monday, as I was retrieving my snow brush from my car trunk, my daughter let me have it. "I TOLD you we'd get more snow!" Let me tell you: a five year old looking smug is a sight to behold. I've been wondering what the final (?) Winter blast actually does to us. Two events have provided valuable clues. First, as my kid and me were grocery shopping, I gave her a hug. An aisle later, she confided in me: "when you hug me like that, I feel like a bottle of mustard." Hmmm. The second clue came yesterday in a class discussion. It came out that I'm a vegetarian. One student stopped the class to grill me over it. Expressing his shock,, he said, "But you don't LOOK like a vegetarian!" Hmmm. While I might not know how a bottle of mustard feels or what appearance is standard for vegetarians, I now suspect this: that the final snow of winter does something silly to the language centers of our brains. The world is ending. At the very least, the world as we know it is definitely ending. While what will exactly happen to the world is unclear, the two ends of the spectrum of possible outcomes are either the singularity (where we all merge with our technology, becoming one with computers and thus transcending our humanity) or utter societal collapse (where we will be fighting off radioactive mutants with mop handles). Deep down, however, I suspect that our ultimate fate will be less dramatic. This (believe it or not) brings me to the Mall of America. The mall itself rose out of the ashes of an old sporting stadium. It has somehow combined the best attributes of a capitalist shopping edifice, a tourist attraction, a people-watching arena, and an amusement park. And its success in doing so is immense, to the point where even in the coldest part of the dark Minnesota winter (assuming, that is, there ever IS another cold winter), it is heated by the ambient warmth coming off the mall patrons and light fixtures. The Mall of America is thus notable for its resiliency. Most former sports arenas do not have all that exciting as a second life. The Pontiac Silverdome, for instance, is the former home to the Detroit Lions. Instead of transforming into a valuable attraction and financial success, the Silverdome is more a picture of devastation, denuded of its dome, collapsing, and the victim of a fire. When you compare the former Silverdome's fate with that of the former Metropolitan Stadium, it is clear just how miraculous is the Mall of America's success. Moreover, the Mall of America is a place of wonder. While "wows" are not something one normally associates with malls, this Mall certainly delivers. It isn't just the sheer size or number of tenants, although both are overwhelming to visitors only familiar with their own local shopping center. No, it is clearly "something else." It would be an extraordinary place just for the Lego shop, but no, it also has an aquarium and a friggin' amusement park. Just being cool clearly isn't enough. So, what actually IS the Mall of America? How does it negotiate its various identities as an amusement park/tourist attraction/shopping complex? What effect does this collage of identities have on its visitors? Moreover, what is its symbolic identity, and how will that adapt to this most interesting of times in which we live? These are the questions I wish to explore. I have visited the Mall of America twice, and each time, I had to take a few minutes to adapt my mind to its scale. It is an edifice which makes a definite impact, and indeed, after both visits, I found myself spending the following weeks trying to understand and come to terms with its expanse, both in mental and symbolical terms. Moreover, we clearly live in an interesting time, and there's every chance that we're in the middle of a massive cultural change. We are clearly in the midst of continual rapid technological advancement, as evident from the rise of smart phone technology alone (which did not exist the first time I visited the Mall of America). New technology is only one factor in societal change, but it is a big one, with a particularly strong effect on commerce and the economy. From there, its a quick snowball roll into social change, political change, and every other change imaginable. The Mall of America has already survived massive change. It is a center of commerce while still a massively popular attraction even in the time of e-commerce. So how the Mall has survived and adapted is important and deserves to be studied. In addition to this, I am also interested in how the Mall of America will continue to adapt as the world goes through whatever tectonic shifts in our future. Both of these will be centers of focus for my term as writer in residence. As far as writing form, I can see two major approaches. First, a week in the Mall of America is an opportunity for wonderful journalism. While I know I can get several articles out of my residency, I am certain there's enough material for a popular approach non-fiction book combining reportage, social science, and cultural analysis. Secondly, the Mall of America seems the perfect setting for speculative fiction. How will it adapt to the cataclysmic societal change which might be in our future? Would such an evolution be recognizable to its inhabitants? In the event of planetary catastrophe, I do believe the Mall of America would likely survive. Moreover, it would be one fascinating place to be, and I'd love to write a speculative novel exploring its potential future. The simplest answer, then, to what would I like to write about during my writer residency is twofold: adaptation and speculation. There's more material in the walls of the Mall of America than any one person could harvest, but being able to write both a cultural/social analysis non-fiction book and a speculative fiction novel would be the experience of my writing life. When one finds himself excited to to to the local grocery store at 8pm on a Friday night, it says something about the vacation he's on. Additional realization: 8pm on a Friday must be a popular time for hunters to shop for groceries. One of the best parts of not having to worry about trying to be a scholar in the absence of any success as a scholar is that my schedule is less packed than it was before. This means I actually have time to read for pleasure again, something that, if I'm to be honest, I haven't been able to regularly do since 1994. I try to balance light and fun reads with heavier stuff (both more intense science fiction and non-fiction). Earlier today, I finished the John Scalzi novel Redshirts, and I can tell that although I thought this would be one of the light reads, I will be pondering this one for a while. Redshirts is set on a spaceship in the distant future and focuses on a group of entry-level shipmates. The obvious parallel is to the red shirts from Star Trek...not the main officers/heroes of the ship, but the people who do the grunt work...and, as a fun bonus are more likely to die than the officers. Soon after boarding their ship, the protagonists realize that the non-officers on the ship have an annoying (and statistically unrealistically high) tendency to die while on away missions. After some adventure and meeting a sage figure, our heroes eventually discover their exploits are the basis for a 21st century science fiction television show. I don't mean that they influence the show, but rather, the show determines their reality. While the characters are, to themselves and those around them, real people, many of their exploits are determined by the writers of this much earlier television show. Did I mention the television show in question is really cheesy and hackneyed? Once the protagonists realize their fate is at the mercy of a centuries-before hacky television writer, they decide to go back in time and confront the writer in question. And then it gets weird. And then the twists start coming. Redshirts is actually billed as "a novel with three codas." The novel portion of it stays pretty light and fast-paced action sci-fi. It's a very "metafiction" type novel, and the blurred line between reality and fantasy is mostly played for laughs. Good laughs. My daughter kept asking me why I was cackling, and I really couldn't explain it all to her. I blew through this portion of the book, and it was a hell of a lot of fun. Then the codas hit, and they each added different perspectives, both to the narrative and to its philosophical depth. While one of the cool things the novel did was shine a light on who we'd normally think of as minor characters, the codas took the minor characters from that arc and made them the center of their own story. Each one only served to deepen the weight of the novel. You know the saying, "every character is the hero of their own story?" That's definitely true of Redshirts, except the more "minor character" you go, the more important and emotionally deep the stories get, and, by extension, so did the main narrative. We don't think enough about the fate of those in the background. We don't think enough of the characters in our stories leading vastly richer and deeper lives than our stories let on. This is true of the art we create, sure, but it is equally true in our real world experiences. Nobody is entirely a villain or a hero. No one is simple. And when we ignore their complexity, we can and do only get a particularly shallow view of any story to which they are connected...and, by extension, to the world as a whole. To our own stories, for that matter. I'm a songwriter. One of the things I try to do is to present vivid characters, because it gives the song that much more of an impact. Even so, I have to constantly remind myself to delve behind the easy surface. Case in point? 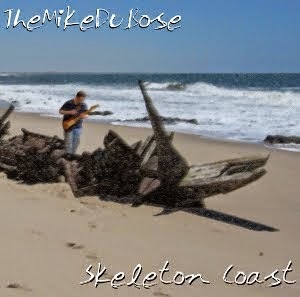 One of the most appreciated songs on Skeleton Coast is "Totally Low Standard Blues." It's the narrative of a guy who's circling around a relationship with someone who is fairly broken. The narrator, though, is more obsessed with his own brokenness, though, and he interprets his crush's affections for him as her biggest fault. The line more than a few listeners have latched onto is, "If I was the best you can do, then what does that say about you?" And yes, it is a funny and catchy line. However, it's a line brimming with loathing...for everyone and everything, I guess, but mostly for the narrator himself. Don't get me wrong; I do like this song a lot, but it did shape me a lot as a writer. Do I want to be the kind of songwriter who only focuses on the negative? Who only sees the worst in things? Who ignores any depth his characters might have in favor of the clever impression? I was actually not all that concerned about the narrator. 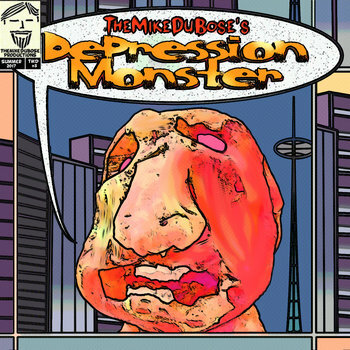 In case you haven't guessed, this song is fairly autobiographical, but although it could be read as self-hatred, I have plenty of other songs in which to make my own case. The damaged object of affection, though, was another issue for me. She is partially based on a real person, and it's a real person who has endured a pretty rough existence, and for that, I have a lot of sympathy for her. By only focusing on the damage, I was being unfair...and not a little bit of a jerk. But in addition to being unfair to a real person, I realized I was being unfair to my writing. I was being unfair to my characters. And I was also being unfair to my listeners (all six of them). Moreover, I was taking the easy way out. I was closer to the comedian going for the cheap crack about someone's appearance than I was being an artist. And that bothered me. Before you think of me as guided by delusions of grandeur, I don't think of myself as high class or elitist when it comes to my music. Nor do I ever see my number of listeners going into even the triple digits (although it would admittedly be nice to play an arena at some point). No, I'm mostly doing this for myself. Writing songs makes me feel sane. Moreover, it makes me feel significant in some way. So a few years after I wrote "Totally Low Standard Blues," I decided I had to be fair to its subject. I wrote another song largely about the same person (called "Side to Side," which will be on the album after next), and when I first played it, I felt like some kind of karmic balance had been restored. I bring up this digression into my own songwriting to (more than anything else) make clear why I was so knocked out by Redshirts. While yes, it is a fun and goofy sci-fi romp, it's also a pretty good meditation on art and perception...on how, if we want to be honest, we need to see everyone's story, and to treat those stories with respect and reverence. To do so is essential for art. Moreover, I think that the respect and reverence for others is essential for life. That, though, is another post.